A third-grader got it right. the one Saint Francis inhabits. and Saint Francis lets it pass through. Three saints of the 20th century were special bearers of God’s light, love and life: Katharine Drexel, Maximilian Kolbe and Faustina. They, as all saints, received God’s grace and transmitted that life to those they met. Sainthood is as “simple” as that: receiving and sharing God’s incredible love, light and life. Pope Paul VI maintained that the two great needs for the Church and the world are mentors and models, teachers and witnesses. Saints teach us by sharing their wisdom; saints guide us by living the gospel in heroic ways. Through Baptism, all of us are called to be mentors and models for others. In her book Saint-Watching, Phyllis McGinley wrote: “When I was seven years old I wanted to be a tight-rope dancer and broke my collar bone practicing on a child’s-size high wire. At twelve I planned to become an international spy. At fifteen my ambition was the stage. What Katharine Drexel wanted to be at age seven or 12, we do not know. But that she eventually wanted to be a saint, of that we can be assured. Her life was one of generosity and service, of commitment and love. It was a life rooted in Jesus, especially in devotion to the Blessed Sacrament. It was a life that bore abundant fruits because of her spirit of tremendous sacrifice. Katharine Drexel’s ambition was not for the stage but for helping two groups of people who were marginalized from our culture: Native Americans and blacks. The daughter of a wealthy Philadelphia banker who had left her and her siblings an inheritance in the millions, Katharine used her portion to establish Xavier University, the first Catholic college for blacks, in New Orleans. Her assistance to Native Americans resulted in 145 Catholic missions and 12 schools. Over the years, $12 million from the Drexel estate went to this missionary activity. This 20th-century saint, who was canonized by Pope John Paul II in 2000, is a model for our 21st century. Just as Saint Katharine responded to the diversity in the culture of her day, we are challenged today to reach out to the immigrants and refugees looking for a home. So many of the residents in our country are on the margins, struggling to find work and shelter and safety. So many of those who live in our culture face discrimination and intolerance. And we need not only individuals and communities, like Saint Katharine and the community she founded, the Sisters of the Blessed Sacrament. We also need to change systems that deny people basic human rights. The ministry to the Native Americans and blacks that Katharine Drexel began must continue to be a major concern as we respond to the call for a “new evangelization.” In our day, the Good News of God’s love and mercy in Jesus needs dedicated witnesses—individuals as committed as the heiress who gave away her wealth, her energy, her very life. In 1878, when Katharine Drexel asked Pope Leo XIII to assist her work with Native Americans, the pope told her to become a missionary herself. And she did! Two virtues are evident in the life of Katharine Drexel, as they are in the lives of all saints. One is obedience, that graced listening to God’s will. The second is self-giving, that costly sacrifice of one’s life for others. These virtues characterize the life of a eucharistic person, one who through the Liturgy of the Word hears God’s call, and through the Offertory, Consecration and Communion of the Mass, participates in the self-giving of Jesus. Saint Katharine was such a eucharistic person. Phyllis McGinley thought about being a tight-rope dancer, an international spy, an actress. Katharine Drexel probably had her daydreams and fantasies growing up, but in the end she gave up her comforts, her customs and her sins to be a disciple of Jesus. She said yes to what God asked of her. That’s “all” a saint has to do. Even in the darkest of times, God’s light keeps breaking forth. In the darkness of the Second World War, a time of incredible suffering and human anguish, a light broke forth through a Franciscan priest named Maximilian Kolbe. He gave his life so that another man might be spared and eventually return to his wife and children. The story is poignant. Ten prisoners in the concentration camp in Auschwitz were chosen at random to die because a fellow prisoner had escaped. One of the 10, Francis Gajowniczek, was a husband and parent. When Father Kolbe heard of the man’s plight, he volunteered to take Gajowniczek’s place. Eventually, all 10 individuals died, Father Kolbe and three others by means of lethal injections. The date was August 14, 1941. This bare outline says something of the heroic charity and graced courage of Maximilian Kolbe. We must pause to ponder how similar Kolbe’s love is to that of Jesus. Both gave their very lives for another; both made manifest the fortitude that says that faith is stronger than death. Saints are individuals who are willing to sacrifice all; saints are individuals who do not allow fear to govern their destiny. Maximilian Kolbe was born in Poland in 1894. 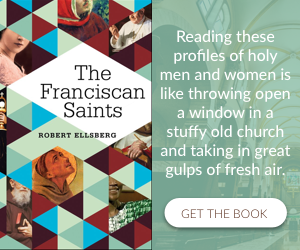 He became a Franciscan at age 16. Early on, he knew sickness (tuberculosis) and the meaning of suffering. His devotion to Mary was strong and traditional. His zeal drew many others into an appreciation of the role of Mary in the Christian story. Surely it was Mary’s obedience to God’s word and her giving of self that prepared Kolbe to eventually follow her example. Maximilian was obedient and self-giving, the essence of discipleship and sanctity. In 1982, Pope John Paul II canonized his fellow Pole in Rome. Francis Gajowniczek, the husband and father for whom Father Kolbe gave his life, was present at the ceremony. Forty-one years after the supreme act of love and courage was made, a saint/martyr was officially recognized. The saints, with their extravagance of human tenderness, are the great torchbearers of this belief [the sacredness of every individual], the tip of the wedge, the clearers of the darkness. Like the single drops which sparkle in the sun they are flung far ahead of the advancing edge of a wave-crest or of a flood, they show the way and are forerunners. The world is not yet with them, so they often seem in the midst of the world’s affairs to be preposterous. Yet they are impregnators of the world, vivifiers and animators of potentialities of goodness which but for them would lie forever dormant. It is not possible to be quite as mean as we naturally are, when they have passed before us. One fire kindles another; and without that overtrust in human worth which they show, the rest of us would lie in spiritual stagnancy. Saint Maximilian Kolbe, priest and martyr, is a “clearer of darkness” and a bearer of God’s love. Although few of us will ever be in circumstances similar to those that Father Maximilian had to face, all of us are called to bear God’s love and be agents of God’s light. Our vocation is essentially the same: to be recipients and transmitters of grace. Saint Maximilian did this in a heroic way; we will be asked to do this in more humble circumstances. But in the end it is all for the glory of God and the salvation of the world. On April 30, 2000, Pope John Paul II canonized Maria Faustina Kowalska, a Polish nun and mystic. Seven years earlier, Faustina had been beatified and recognized as a woman outstanding in holiness and for her dedication to God’s mercy revealed in Jesus. Although she died at age 33, her influence has been tremendous. One of the influences has been the publication of her diary, Divine Mercy in My Soul: The Diary of Saint Faustina. 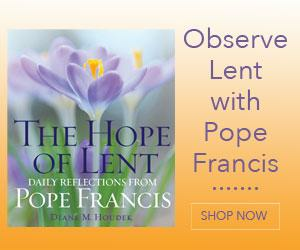 In this diary, she records her inner experiences of Jesus and of the Blessed Virgin Mary. For some time the diary was misinterpreted and even questioned for its orthodoxy. But when Pope John Paul II came upon the scene, Faustina was vindicated, and her writings were presented as worthy of study and prayerful reflection. Another influence of Saint Faustina is liturgical. The Second Sunday of Easter has been designated as Divine Mercy Sunday. 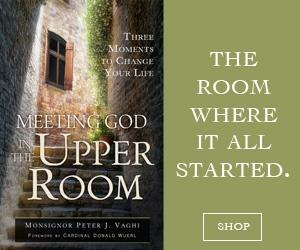 Now the universal Church has been asked to ponder the mystery of our merciful God. How fitting that this celebration is given to our world. In Secularity and the Gospel: Being Missionaries to Our Children, Father Ronald Rolheiser writes: “In a world and a culture that is full of wounds, anger, injustice, inequality, historical privilege, jealousy, resentment, bitterness, murder, and war, we must speak always and everywhere about forgiveness, reconciliation, and God’s healing.” Indeed, of God’s mercy! The third of 10 Kowalska children, Maria Faustina experienced wounds, jealousy, resentment and much more: Her parents tried to prevent her from entering religious life; as a religious, she was often ridiculed and laughed at for her claim of seeing Christ; she was not of robust health and contracted tuberculosis, which led to her early death. In other words, Faustina participated in the sufferings of Christ and understood from the inside the transforming power of love and mercy. It is interesting that another religious and mystic, Saint Thèrése of Lisieux (1873-1897), now a Doctor of the Church, would also write a “diary,” The Story of a Soul, in which she would say that her God was a God of Love and Mercy. Again and again, we find the great saints confirming one another’s experience and driving home the point that our God is total self-gift. And just as Saint Thèrése, the Little Flower, claimed that her mission of doing good on earth would continue in heaven, so Saint Faustina would write: “I feel certain that my mission will not come to an end upon my death, but will begin. O doubting souls, I will draw aside for you the veils of heaven to convince you of God’s goodness” (Diary, 281). Another Doctor of the Church, Saint Bernard, wrote: “The prophet does not exempt himself from the general wretchedness, lest he be left out of the mercy too.” Maria Faustina Kowalska was keenly aware of her own unworthiness, but she was even more keenly aware of God’s mercy. She was open to this grace and devoted herself to helping others experience God’s merciful love. Our 21st century is in special need of the grace of mercy. We are a blaming society, seeking again and again to assign guilt and responsibility in an undue fashion. True, we are free and responsible to a large extent. But it is equally true that we are weak and limited creatures, in need of forgiveness and mercy. Saint Faustina knew this and will intercede for all of us to be open to this grace. + Saint Katharine Drexel, who responded to the diversity in her culture with generosity and a spirit of sacrifice. Initiate a conversation about diversity and prejudice within your community. Commit to action that promotes the dignity of all God’s children. + Saint Maximilian Kolbe, who cleared the darkness of death and despair by sacrificing his life for another. What darkness can you help clear by your own acts of sacrifice? + Saint Maria Faustina Kowalska, who was devoted to helping others experience God’s merciful love. Where are you being called to share God’s mercy and love? Who in your family most needs to experience the compassion, healing and freedom offered by God? What can you do to bring this about? Robert F. Morneau is a retired American prelate of the Roman Catholic Church who served as an auxiliary bishop of the Diocese of Green Bay.